Runner3 is a Jekyll and Hyde, a game that’s equally delightful and frustrating. I love starting the game up, its happy-go-lucky soundtrack and stages brightening my day. Playing each stage ranges from challenging me to trying my patience, even in the beginning of the adventure. No matter how difficult it got though, I always came back to finish what I started. 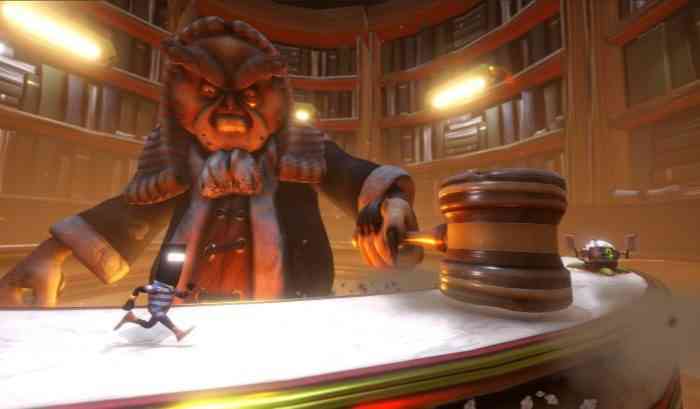 Runner3 knows the difference between “challenge” and “frustration,” making sure to keep the former at the forefront. For those unaware of how the Runner series work, the concept is simple. The hero CommanderVideo runs a path dotted with obstacles and collectibles, and it’s my job to keep him alive. I don’t control his running, only his jumping, and I have to time my jumps or head back to the start. That’s it, that’s the basic gist of the game. How something that sounds so simple can be so challenging blows my mind, but here I am. Runner3 starts with a goofy animated intro, narrated by none other than Charles Martinet AKA the voice of Mario. I didn’t play Runner2, but this vignette prepared me for what was to come. I appreciate that Choice Provisions took the time to catch me up to speed, even though there’s not much story to be had. 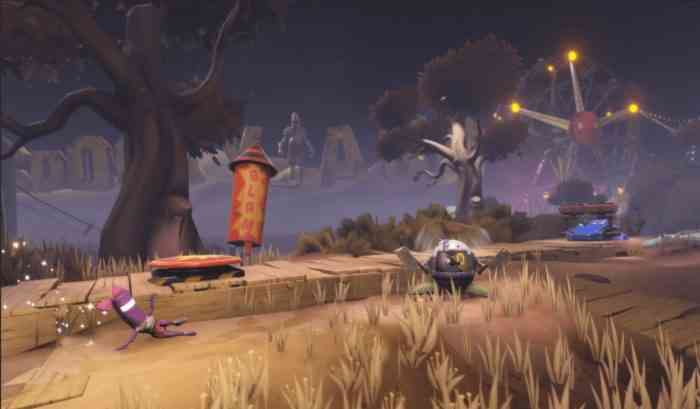 It’s never good for those late to the party to feel left out, and Runner3 is careful not to do that. After the intro though the game wastes no time in testing my abilities. The very first level took me three tries, the second three more tries. Four failed attempts in the first two levels, and the number only went up from there. Despite my failures, I never got angry or upset with the game. The challenge never felt insurmountable; I knew I could beat these stages, I just had to get my timing down. That’s a key victory for Runner3, because if I felt like the game was out to get me I wouldn’t keep playing. 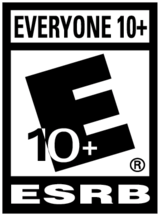 Here’s where my enthusiasm for the game starts to wane: the concept is still rather shallow. I watch a character run down a predetermined path, making him jump when an obstacle appears. I’m doing this to a certain beat, with every collectible adding to the song which I’ll explain in a bit. This same thing happens across dozens of levels, and after a while, the experience does get dull. 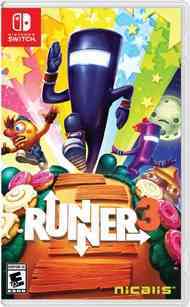 Runner3 is not built for the marathon, rather it’s best played in small intermittent doses. Otherwise, it’s the same old song and run, which is a bit of a shame. …that runs to its own beat. Runner games like this are plentiful, but Runner3’s use of rhythm makes it stand out for me. The series has been doing this for a while, but I love how my success adds to the music of the world. The better I do, the more I complete the song which in turn completes the scene. This makes me want to do more than beat each level, I want a perfect run so I can hear the music as intended. It takes a special game to make me want to strive for perfection, but Runner3 does that at every stage. Speaking of which, the music in Runner3 is fantastic. Each stage offers a light and fanciful tune, keeping up the good vibes seen throughout the game. I love being able to contribute to these songs too, as the tunes I add only make the tracks better. Choice Provisions clearly recognized the importance of making these songs pleasing to the ears. After all, why would I want to collect items in rhythm if the song is no good? This is one of those game soundtracks that will rattle around in my brain for a long time, making it perfect for a rhythm-based indie game. Runner3 is an old idea with a fresh coat of paint, but that idea still brings a lot of fun to the table. The challenge is real without seeming too difficult, never making me feel helpless. The world of Runner3 is beautiful to behold as it bursts forth with color and life. Even though the core game can get monotonous at times, Runner3 is yet another terrific indie game that deserves everyone’s attention. Run along and try it when you can.